Composite doors are one of the newest ranges of front doors on the market, and here at Don Valley, we are hot off the mark to offer you with an extensive range of colours and designs. They have been designed taking into consideration the usual problems which are come across with other types of doors on the market, and are specifically constructed to combat these issues. Composite doors are one of the newest options for your front door, however they have quickly become one of the most popular options, due to their many benefits. In fact, they are largely considered to be the perfect option, combining many of the desirable traits of various other different types of doors into one product. The term ‘composite’ refers to something which is made up of multiple materials, and the same is true for composite doors. Other doors are generally simply made up one material, or at least the vast majority of them are made of one material, for example uPVC doors are made of uPVC, and wooden doors are made of wood. Whereas, composite doors take the benefits of a multitude of different materials, combining and arranging them in the most effective way. Each material used in the composite door is selected for its beneficial properties and they are placed in the most effective place to get the most out of that particular material, making for an exceptional door all round. What materials are composite doors made up of exactly? Composite doors are made up of wood, PVC, insulating foam and glass reinforced plastic. The composite door is designed to look as realistically like wood as possible, but in actual fact is much stronger by use of other reinforcing materials too. A layer of insulating foam is also used for the centre of the door, to ensure that maximum insulation is obtained by the front door. Composite doors tend to be more insulated than other door options such as wooden or uPVC doors as they are specifically designed for an insulative purpose, as well as the layers of different material making for an effective protector from the harsh weather outside. This level of insulation will mean a significant reduction in your heating bills and will also keep the temperature in your room at a constant and comfortable level. This material is also very strong, allowing for maximum safety and an extremely durable, robust door. The glass reinforced plastic used in composite doors acts as a skin on the outside of the door. This material is used in the manufacturing of boats, baths, and has more recently been in the production line for manufacturing cars and aeroplanes too. As demonstrated, glass reinforced plastic fares well in water and is a very sturdy material. However, whilst it will not expand, warp or get moulded in harsh weather conditions, it can be moulded into a design which highly resembles wood, making the door appear to be a traditional wooden from its outwards appearance. All in all, a composite door is an extremely robust, durable, weather wearing and insulative door made from a variety of materials and with extremely low maintenance, but which look exactly like a regular door from the outside or inside of your home. 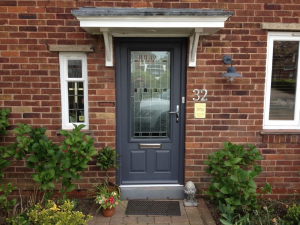 What are the main benefits of composite doors? So, we’ve already outlines the structure and overview of all the materials which are present in a composite door, but if you’re not yet completely sold on the idea, we have put together a list of benefits we think are very worth considering when purchasing your new door. 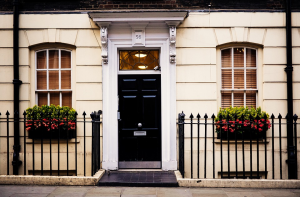 The security of your front door should be a top priority when choosing which one to invest in; after all safety should come first and the door of a house is often the most vulnerable point when being targeted by criminals. In terms of safety, composite doors are a great option to put your mind at rest when you’re out, away on holiday or in bed at night. Made up of a multitude of materials, they are one of the most sturdy, robust options for you front door. The combination of materials which are used in the door ensure that it is extremely difficult to break down or force open, due to their strength and durability. They will not be weakened by harsh weather conditions, so you never have to worry about your door caving in or becoming feeble. Composite doors are extremely durable and long lasting. This means that composite doors are unlikely to need replacing any time soon and will stand the test of time. Due to the protective skin on the doors and the sturdy materials used, these doors require very little maintenance and are easy to look after. Once it is installed, you can simply enjoy having a lovely entrance to your home. In fact, composite doors are so long lasting in nature that they can be considered to be an investment rather than an expenditure, as you are unlikely to need to replace it in the coming years. 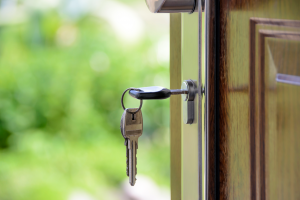 Creaks in your doors are one of the tell-tales signs that they need oiling or replacing, and can make your home feel uncared for as soon as you enter. Not only this, but a loud creaking door is likely to get annoying, not only for you but for your neighbours. If a door becomes stiff, it can also be difficult to open it and this could become problematic, particularly for elderly people and children. Unlike other materials commonly used for doors such as wood, composite doors are tough and are unlikely to become stiff or start creaking and time soon, and what’s more, they require zero maintenance to stay in this condition. The colour of your front door can completely change the overall look of a home, making it appear homely, modern, vibrant, chic or fun. One of the most appealing aspects of composite doors is that they come in a range of different colours, so you can choose one to represent your style and how you would like your home to look. Here at Don Valley, we offer composite doors in Yorkshire which are available in a vast range of colours, including back, white, red, navy, blue and green, brown and even purple. There really is something for everyone! What’s more, composite doors never lose their colour, so there is no need for repainting. This means that the only maintenance required to keep your door looking great is washing, along with the windows. At Don Valley, we understand that doors go through a large amount of daily wear and tear, including rough handling, slamming shut, abruptly opening and closing, and all this happens multiple times a day. What’s more, there is nothing that can be done to limit these actions, even when you have just forked out new money for a brand new door. However, you don’t have to worry about this daily wear and tear when it comes to a composite door, as the glass reinforced plastic veneer is extremely durable and can withstand the daily handling which is to be expected from general usage of the front door. In fact, this strong material is almost impossible to break, so you can rest assured when your children are running in and out of the house at every opportunity. Nothing is worse than spending your hard earned cash on massive heating bills, only for your home to still feel like an igloo inside. It has been researched that a significant percentage of heat from the house is lost through doors, but with composite doors you don’t have to worry. The layer of insulating foam in the centre of the door makes for a protective layer so that it provides maximum insulation for your home. Not only will this make your home warmer at a more consistent temperature, but it also means that you will be paying less for your heating bills. It is also worth considering that due to their highly insulative design, composite doors are also the most environmentally friendly option for your home, as you will not be burning as much energy on the heating. Your front door is the first thing people see when they arrive at your home and ideally you want it to reflect your style and go with the rest of the home exterior. Not only can you choose from a wide range of colours for your composite door, but you can also choose the style you want. From a modern look, to a homely style, or even something a little bit different, at Don Valley we provide you with an entire spectrum of composite doors to choose from, so you can be sure that you will get the exact look you are after. For more information on our composite doors in Yorkshire, contact us. Our professional staff are more than happy to help you with any queries you may have and help you to find the perfect door for your home. 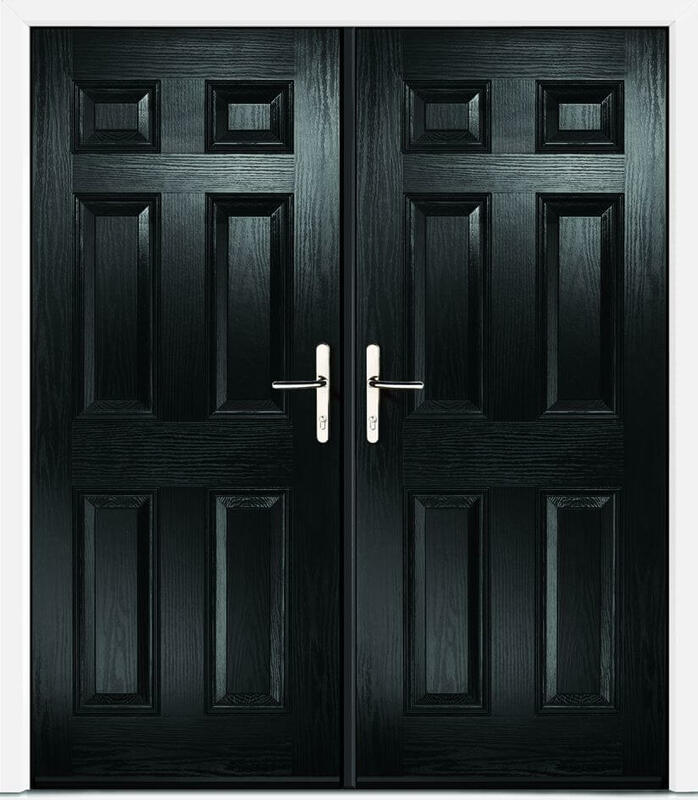 Click on the images of Composite Doors to see them in more detail and use the arrow keys to scroll through the gallery. To find out more or if you have any queries please get in touch via our contact page.